Last week, Now Interact attended the TC3 Summit in Silicon Valley. This annual event brings together over 500 executives from across the telecommunications industry and its vendors. Over the course of the two-day event, we heard from innovative executives that are paving the way for the future of the telco industry. This was a sentiment held by many of the presenters, as they highlighted their thoughts on where the communication industry currently stands, and how they plan on achieving future goals. In such a competitive market, brands can’t afford to stop focusing on the future; and the innovation that will get them there. The push for innovation and new technologies was the overarching theme throughout the summit, and IoT was top of mind for most companies. What was interesting, however, was the high level of focus on maintaining brick and mortar stores. Across the board, most industry leaders mentioned the importance of maintaining a storefront and integrating IoT into these stores of the future. This focus on the storefront, however, does not necessarily mean that humans will be at the center of their functionality. Much like the digital store, robots and connected devices will play a large role in assisting customers. Although most telcos are excited about these plans for the future, they also recognize the importance of maintaining some form of human interaction as the human touch still holds value for customers. Underpinning the new technologies theme mentioned throughout the conference. 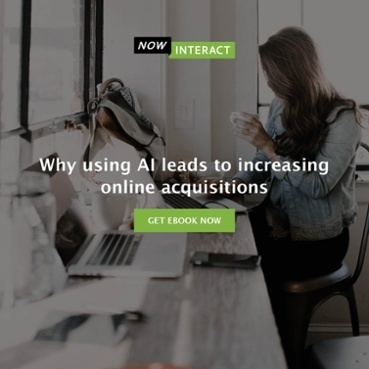 Chatbots and virtual assistants were a high priority on most of the digital strategies discussed by industry experts. However, as more companies turn towards these technologies, it begs the question of how this will impact the customer experience. Will the human touch that customers crave be missed throughout these interactions, both online and over the phone? For instance, one provider outlined a project to implement chatbots within their e-commerce storefronts and call centers, in order to accelerate the customer assistance process. What will be interesting to see is whether the bot decreases the ability to sell online, or if they are as helpful as humans to potential customers that need assistance in the purchasing process? A better approach may be to predict the intent of site visitors, and offer the appropriate contact channel for these visitors, rather than use a one-size-fits-all approach. Or, alternatively, to implement bots as a tool to ask questions and point visitors in the right direction. We have been experts in driving digital transformation in the telecoms industry for over seven years. A core element of the work we do is helping our customers to really understand their website visitors. What do visitors want when they arrive on the website; and how best can you support each, individual, one? In our recent eBook, we outline five key questions to ask in order to better understand website visitors. Download your copy here.